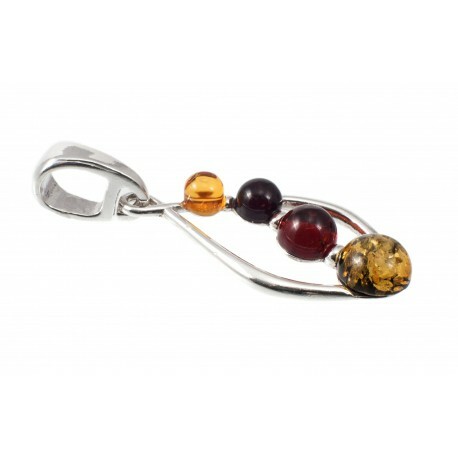 > Amber - Silver>Amber - silver pendant "Childhood Lollipops"
Amber - silver pendant "Childhood Lollipops"
Four color round amber pieces - colorful like lollipops from the childhood memories. For every day of yours would be joyful and colourful. Amber - a witness of a deep past of the history of Earth that has reached us. Athough silent, but tell its own stories to everyone, attracts by its unique forms and warmth.